Recent class action settlements have paved the way for credit card surcharges. camera (Scott Eells/Bloomberg via Getty Images) American Express Co. credit cards are arranged for a photograph in New York, U.S., April 15, 2013. Retailers could soon be passing on their "swipe" fees -- the fees Visa, MasterCard and American Express charge to merchants -- to customers paying by credit card. On Thursday, American Express agreed to settle two class actions filed by merchants in 2004 and 2006 that would allow them to impose surcharges on credit card users if the same surcharge is charged to holders of other credit cards. 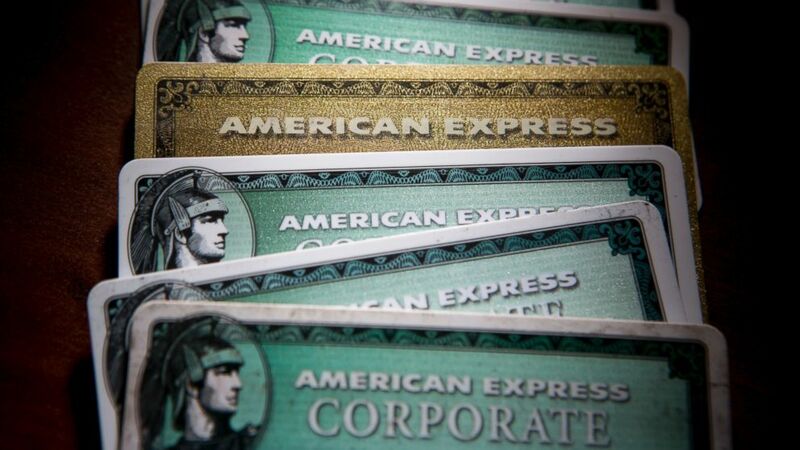 A judge has yet to approve the American Express decision. But a judge approved a similar settlement the previous week against Visa and MasterCard, which has been called the largest private antitrust settlement in U.S. history. A spokeswoman for American Express said the terms of Thursday's settlement balanced the interests of its card members and merchants, ensuring that card members were not discriminated against when making transactions, as they would be charged the same fees as MasterCard and Visa card users. Large retailers such as Target and the National Retail Federation have said merchants were unlikely to set up a two-tier system that passes on swipe fees to customers, saying such charges are not consumer-friendly. In response to the settlement with Visa and MasterCard, Target said in a statement it has "no interest in surcharging guests who use credit and debit cards that allow VISA and MasterCard to continue charging illegal fees," which Target says are in violation of anti-trust laws. Walmart said it was among the group of merchants appealing the Visa-MasterCard interchange settlement decision, saying "innovation around new payment technologies would be stifled and consumers would face continually increasing hidden swipe fees, which already cost them tens of billions of dollars each year." Target is also appealing the decision. If surcharging takes place anywhere, it's most likely to be implemented at nonretail businesses, such as doctors' offices and airlines, according to J. Craig Shearman, a spokesman for the National Retail Federation. In an existing example of two-tiered pricing, gas stations have been offering discounts to customers who don't use a credit card since passage of the "Durbin Amendment" of the Dodd-Frank Wall Street Reform and Consumer Protection Act in 2010. That law allows retailers to offer a discount to those who pay in cash, by debit card or check. "That's one of the few places where consumers are likely to see any sort of two-tier pricing, but that's a result of Durbin, not either of these settlements." Ed Mierzwinski, federal consumer program director and senior fellow at the U.S. Public Interest Research Group, which opposes the decisions reached in the recent class action settlements, said offering a discount for cash and charging for credit cards is virtually the same thing. In October, a federal judge struck down a law that prohibited surcharges to customers paying with credit cards, joining several states, including Florida, Connecticut and Texas, that don't permit these surcharges. "I think the merchants are going to be careful about how they implement it if they do," Mierzwinski said about a two-tier pricing system. Mierzwinski explained, though, that a two-tier system would allow merchants to disclose how swipe fees affect their businesses. "Surcharging allows merchants to expose the unfair tactics of the card networks that allow for free rewards to credit card users by pummeling cash customers," Mierzwinski said. "Generally, cash customers are less affluent than card users. So I'm not completely against surcharging, because it means the customers who caused the cost will pay them. But I don't think it's going to happen in a big way." Marc Morrison, owner of Animal Land Inc., one of the plaintiffs in the class action against American Express, said that if the settlement was approved, he planned to use a two-tier pricing system. "What I really am pleased about is the transparency that this creates," Morrison told The New York Times. "Merchants can now effectively incentivize their customers to pay with debit cards."